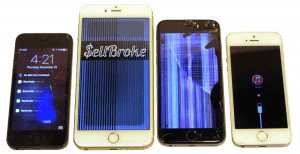 Want to sell a broken iPhone? No problem! We pay cash for broken iPhones. Breaking an iPhone is a very easy task. All it takes is a second. Lack of attention or an accident and your iPhone is broken. Your phone can be dropped and the display breaks easily. Or even worse the iPhone drops into the water and stops working altogether. There are endless possibilities how your iPhone can get damaged. Fixing a broken iPhone can get really pricey. It is usually cheaper to sell broken iPhone and purchase a new one. This is where we step in. We offer best way to quickly and easily sell broken iPhone online. We pay top dollar for broken iPhones and other broken smartphones. Other places try to pay as little as possible for broken iPhones. Our offers reflect the actual market value of the salvageable components of a broken iPhone. It is our mission to create a customer-friendly place that’s not driven by greed where people can recycle broken iPhones and electronic gadgets and be happy with their experience. Sell us your broken iPhone and use the money to buy a new one. Get quick cash for your broken phone, broken tablet, or other broken electronic device! Our online quotes are very precise for broken or good iPhones and other devices. Our website and services are secure, protecting every bit of your personal information. 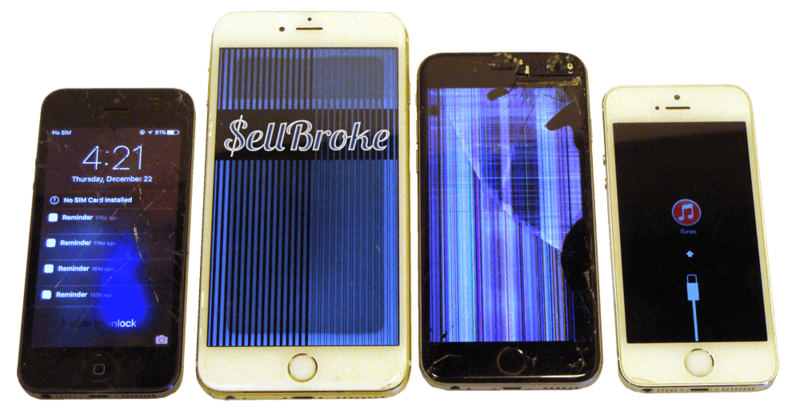 The process of selling broken iPhones, broken computers and other broken electronic gadgets to us is extremely safe and easy. We’ve perfected our routine over the years to deliver the most convenient way to sell broken iPhones quickly. Our service is fast! We value your time. You’re ready to ship instantly after submitting an order on the website. As soon as we receive your iPhone, we process it and pay you the same day with a PayPal transfer or check in the mail. Free shipping. Every time you sell an iPhone, broken iPad, or broken smartphone we pay for safe, easy shipping via UPS. We e-mail you a pre-paid shipping label, you just box up your items to sell us and drop the box off at the nearest UPS store. You don’t need to spend a dime on shipping services! We stopped sending empty boxes in 2015 due to our continued desire to reduce waste and trash. Thanks to the change, we offer even more money for broken iPhones and our turnaround time is cut in half. Most importantly, our desire to recycle electronics is driven by our mission to protect the natural environment by reducing e-waste. We make sure that all of the good parts from broken iPhones and electronics that we process will be reused. Any of the unusable parts are recycled in the best possible manner. We focus on customer satisfaction. Since the beginning of our operation, we maintain great customer ratings with companies such as the BBB and are available via social media services. Sell broken MacBook or broken iPhone today and help us build a better future of online trading. We accept most iPhone models: iPhone 7 and 7 Plus, as well as iPhone SE, iPhone 6 and 6 Plus, iPhone 5S and iPhone 5. Disable your pass-code if the display is working. Otherwise make sure to write it down and include it with your broken iPhone when you mail it in. Go to General Settings and “erase all content and settings” to restore your broken iPhone to factory settings. Also in the General Settings -> “About” section you can check what exact model your iPhone is and which service carrier it’s assigned to. Make sure your phone isn’t active on your service plan. This is usually the case before your contract expires. If you aren’t sure, please call your service provider. After you’ve done it all, you’re ready to sell your broken iPhone! Get a quote for your iPhone model. Under used with defects condition you can select what’s missing or broken in your iPhone. Submit an order here on our website and we will e-mail you a UPS prepaid shipping label to safely send your broken iPhone to us. Pack it and drop it off at any UPS store. Retain a drop-off receipt for your records until you hear from us that we’ve received your phone. You can always track your package and check your order status on our website. Sooner than you expect, you’ll receive the payment for your broken iPhone. Sell your broken iPhone to us with confidence. 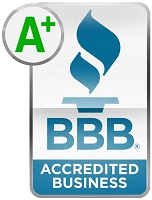 Trust our A+ BBB rating.